Here's my silly picture. 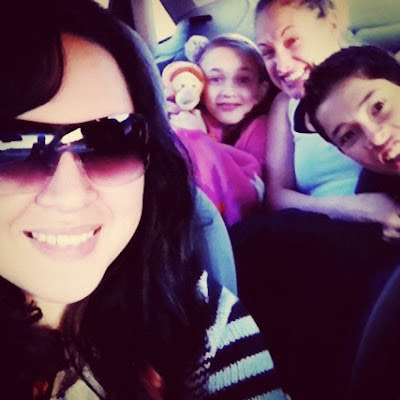 It's from last March when we took a road trip to New York City. I think I'm pretty bold all the time, but I do have my moments that I've been understated, so I try to make my point as much as possible. 2. You have to survive alone in the wild and you only get to take one thing with you. Your choices are: A Pocket Knife, a Water Bottle, or a Book. Which do you choose and why? I chose a water bottle. The reason is because you need something to carry your water in. You can always find something sharp to cut with, and book seems pointless to me... unless it's a hot to survive in the wild book. 3. Thirty Two Cows, Seven Eight Chickens, How Many Didn't? 4. Would you rather die doing one legendary act of service or do small acts of kindness that may go unnoticed every day? I try to do many small acts of kindness everyday, and I 'm okay with that. 6. Can you laugh with out smiling? 7. Do you pop your knuckles? I hardly ever pop my knuckles, and I cringed when I hear other people do it.